I'm again linking up with the girls in DC, Mar, Courtney and Cynthia for the Friday Five. I've been waiting all week to write this post and I'm so glad I get to talk about my Favourite things!! 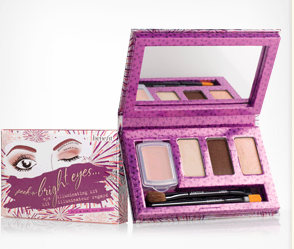 Palette for smokey eyes and Benefit Bright Eyes!! They are amazing!! 2. Perfume!! I have always loved perfume and I've worn a wide variety of perfumes over the years, from Obsession by Calvin Klein, Air de temps, and True Love (which is still one of my favourites but you can't find it anymore). But a couple years ago I was out with my friend Chris (of all people) and I tried a new perfume at The Bay. It was love at first smell!! 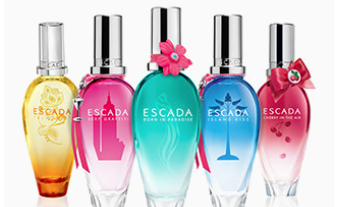 I was hooked and since then I've been an Escada girl!! They come up with limited scents each year so they don't keep manufacturing the same smell year after year. I think that's what I love the most about it because I know each year I can get a new smell, and they are usually very fresh smelling. I really like their citrus infused perfumes the best!! Their new one is Turquoise Summer and I can't wait to get it. 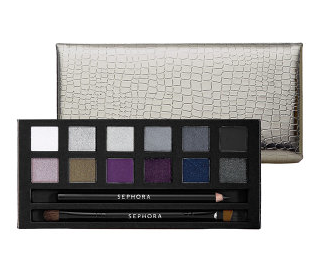 I'm hoping Hubby remembered I asked him to get me this when he was in Vegas but he couldn't find it and so maybe he'll get it in town here!! Oh and their bottles are beautiful!! 3. Nike Free Run 3 shoes!! I've never fallen in love with a pair of shoes like I did with my Nike Free Run 3 shoes. They are a mint colour and seriously the most comfortable pair of runners I have ever owned. The strangest thing is I ordered them online because I was being all fashionista and wanted some Tiffany Blue runners, which these get into the blue green family, but aren't exactly the right shade, but I still LOVE them. They are super light and super comfortable. Once I go back to work I'm ordering me another couple pairs!! 4. Epsom Salts. Ok I admit I'm very late to the game with this one!! I had used them before but I'd never really felt any benefit from using them, they were just something I'd casually add to my bath and then well that was it. Problem number one I was just adding a little, not the actual recommended amount. Problem number two I preferred my bubble baths so I'd just not add the epsom salts. 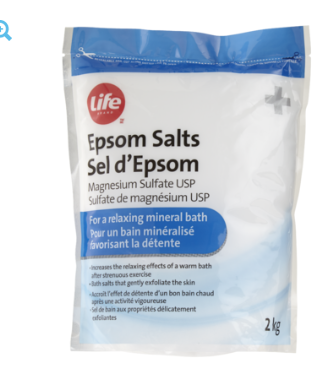 I've now started using Life brand Epsom Salt and their Sea Salt for Baths and I'm hooked. I love how relaxed I feel afterwards and how soft my skin is. If I was thinking of becoming a showering girl, that's been lost since I've started using these more frequently!! 5. Pink, ok this is not a new discovery, but I've been working on my running play lists because I like to have variety, and I like to have songs I can sing with as I run. Pink has offered me that. I've been a huge fan of hers since she released her first album!! But one day I went out for a run and I decided to just to listen to her Truth About Love album, I ran my whole run just listening to that album!! It was fantastic. Now I know not everyone has the same obsession as I do, but she truly has some great beats for running, they aren't too fast, but they aren't slow either. So many of her songs will make it onto my long run playlists!! There you have it my Friday Five, and Friday Favourites!!! I'm excited to be done Nursing so I can partake in the occasional glass of wine again!! i'm not huge on makeup but epsom salts and pink -- yes to both! i've loved pink forever - she is awesome! She's my favourite, I was so sad I didn't get tickets to see her last time she was in Alberta, but next time she comes I'm there 100%!! Hope you had a great weekend! !